Akerson: We'll pay for ideas. 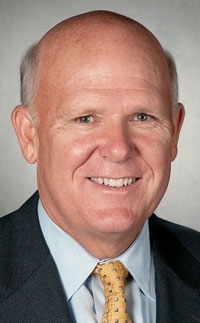 DETROIT -- General Motors CEO Dan Akerson said GM is working to improve its relationship with suppliers, in part by giving them more precise production targets and being willing to pay a premium for new technologies. GM is trying to be "a more reliable buyer" by sticking to its volume forecasts, Akerson said in an Oct. 13 interview. He also said GM is trying to be more upfront about its product plans so suppliers are better able to offer innovations early in the new-vehicle development process. "We have to be more proactive in terms of what our needs are, and we have to be willing to say that if they'll bring a good idea to us first, we'd be willing to pay for it," Akerson said. He also acknowledged GM's mostly sour relationship with suppliers over the years. GM long has languished near the bottom of industrywide rankings of automaker-supplier relations. "You can't remedy a relationship that you've damaged by simply saying, 'I'm sorry,'" Akerson said. "You've got to start to build the history again and a record of reliability. I know we have to do that." GM ranked ninth out of 10 major automakers, ahead of only Volkswagen Group of America, in a detailed survey of North American suppliers conducted in May for Automotive News by J.D. Power and Associates. The survey measured how well automakers work with suppliers to commercialize innovations. Another survey released in May by Detroit-area research firm Planning Perspectives Inc. showed that GM's supplier relations, while also near the bottom, had improved under purchasing chief Bob Socia, who took over in June 2009. The percentage of suppliers that rated GM's supplier relations as either "good" or "very good" rose from 7 percent in 2009 to 21 percent. The percentage that rated GM "poor" or "very poor" dropped from 78 percent to 52 percent. "GM's stock in the supplier community has clearly improved," said Craig Fitzgerald, a consultant at Plante & Moran in suburban Detroit with many supplier clients. Akerson, a former private equity and telecommunications executive, said leaning on suppliers for technology solutions should work no differently in the auto industry from how it works in other sectors. "I go to you as a supplier and say, 'If you can do X, Y and Z, ... we're willing to pay a premium,'" he said, adding: "I'm not asking for exclusivity forever, but maybe six months to a year." Akerson also said GM is trying not to blindside suppliers with changes to its production plans. If volume forecasts for a specific model change, he said, GM increasingly tries to find a way to use the parts it had ordered -- even if that means looking abroad. "If we can't absorb it here in North America, we'll take it to Europe, or we'll take it to South America instead," Akerson said. Previously, he said, GM had "a more regional perspective" and would have been inclined to say: '"We don't see the same forecast here in North America, so go tell the supplier to cut it back.'" It wasn't clear whether Akerson was saying GM would send the part abroad or build the vehicle and export it from North America. This month, Socia told Automotive News that GM has improved communication with its suppliers in part to help them negotiate the choppy market rebound. Socia said: "We're trying to tell our suppliers, as far out as we can, what we think the market is going to be and what our schedules are going to be."